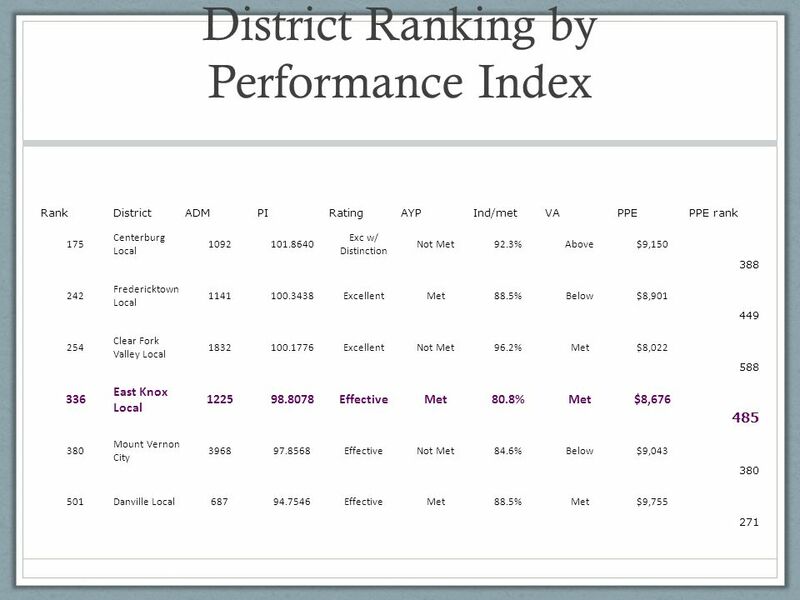 East Knox Local Schools Performance Index Comparison and Value Added Rating District ranking by performance index and District rankings by performance. 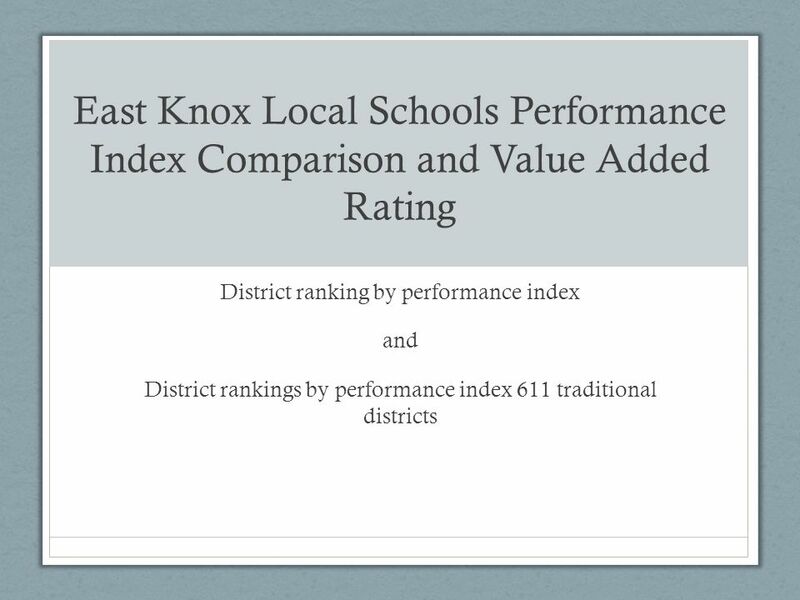 Download ppt "East Knox Local Schools Performance Index Comparison and Value Added Rating District ranking by performance index and District rankings by performance." Direction des Systèmes dObservation 4th VOS-TAG meeting 12/13 April 2007 EUCOS SURFMAR Programme VOS Technical Advisory Group FOURTH MEETING GENEVA, SWIZTHERLAND. Impact on Student Learning The conversation is about multiple indicators for this category BUT Few if any places actually have viable multiple indicators. Fraction Finder Can you identify the fractions?. What fraction of this shape is yellow? Debt Capacity Update. What is our outstanding debt? How much remaining capacity is in our pledged revenues? How does our total debt outstanding and annual. 1-1 In the Garden 595I Come to the Garden Alone. 1-2 In the Garden 595I Come to the Garden Alone. Banner Project Assignment 4. Original Banner Design  Original goals were to make a clean and easy to read banner that gets the main idea across.  Original. 1 ScientificNotation Press Ctrl-A ©2009 – Not to be sold/Free to use Stage 5 Year 9. 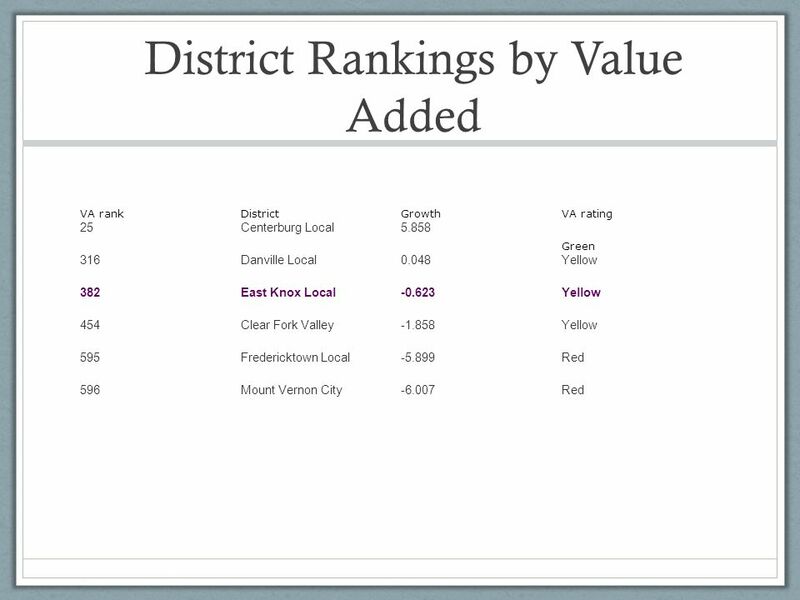 Most-to-Least Legible Color Combinations for Viewing on Slide Shows Color and contrast are very important tools in communication. They can be used to enhance. (REFLEXIONES) Where the rainbow becomes a river Crystal Caño. Dependent Events Objective: Find the probability of dependent events. Standard Addressed: : D Use theoretical probability distributions to make judgments. East Knox Virtual Classroom Nearly 100 courses offered Fully licensed teachers Aligned to Ohio academic standards Grades 2-12 Knox County ESC 308 Martinsburg. Ground Speed of Plane. Solving Problems Using Vectors A pilot wants to fly on a bearing of 69.2°. By flying due east, he finds that a 50-mph wind, blowing. Skip Counting Counting by 2, 5, and 10. Presenting your traffic count data By the end of the lesson you will be able to produce a located proportional flow line map to show you traffic count.